New Brand, Strategy & launch. 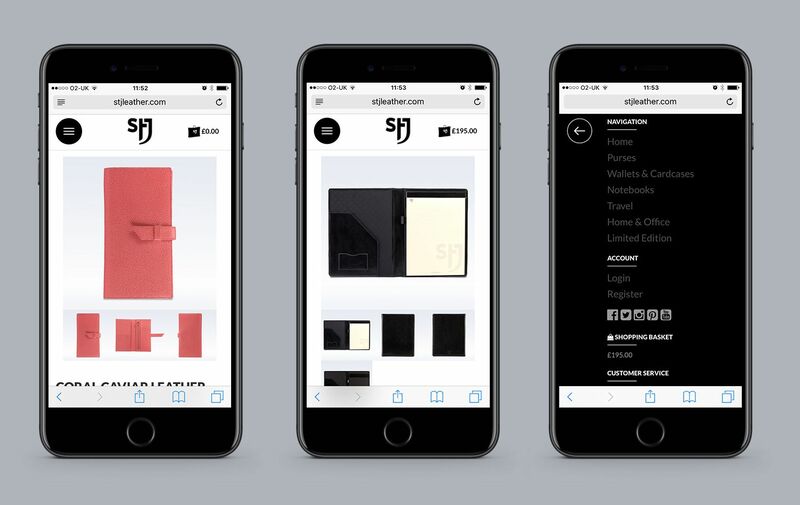 Branding, heritage and a Magento Store. 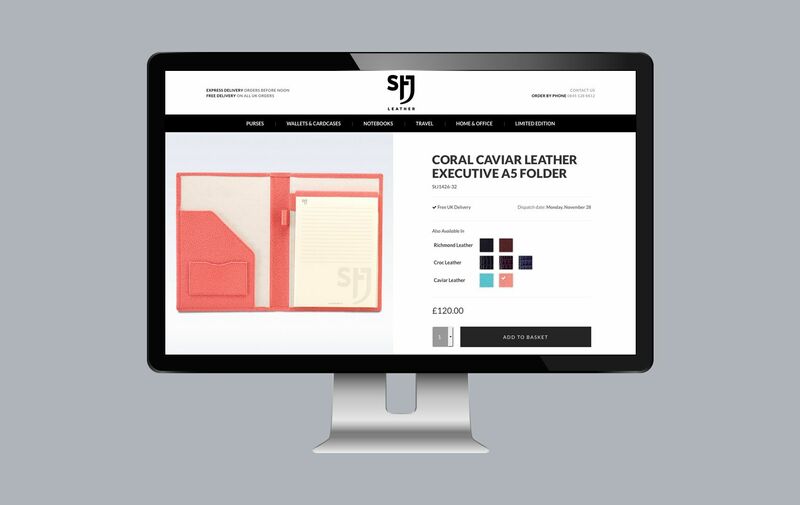 STJ Leather is the hottest name to hit the high-end leather gifts market. Their outstanding collection of luxury leather gifts are carefully hand-crafted in Northamptonshire, the heart of England and famous for over 400 years of leather goods, shoe design and manufacturing. 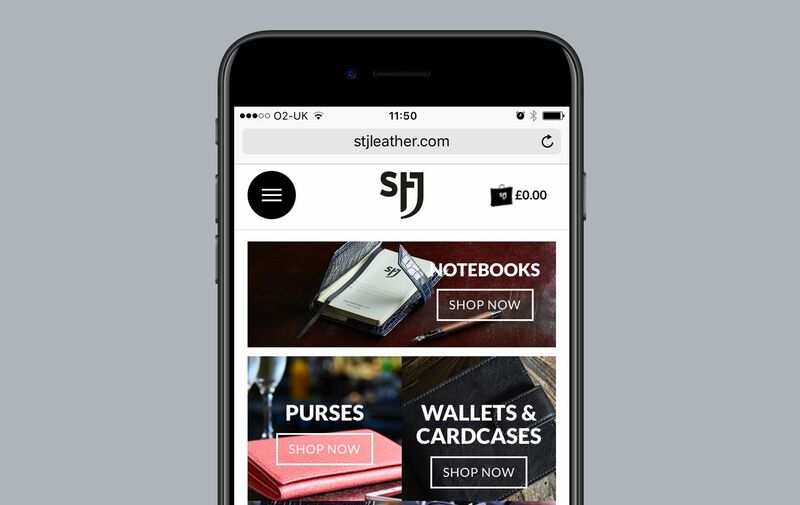 Juniper Trading, the B2B parent brand, made the business decision to offer a range of affordable high-quality fine leather goods to a flooded market – they could and would provide their target audience with a new brand with heritage with a real story. With a creative and dedicated development team, Brave were asked to develop the brand and deploy a Magento solution for their e-commerce offering. Our beginning to end approach began right here. Combining innovative and fashionable designs, with the best materials, STJ Leather has a truly outstanding product range. Effectively being a start-up brand, one which no-one yet knew about, our brief was to design and develop a brand which would hold it’s own against some fierce competitors and ultimately deliver an e-commerce website for a UK launch. We developed a brand which was strong, distinctive and stylish. The logo itself was designed using the letters StJ – the ‘J’ developed the side of the shield as carried by the knights of old, and the ‘t’ symbolised the cross of St George. It was important to ensure the icon could work separately from the logo as a brand element itself, especially as the brand mark on each piece of merchandise utilises an embossed emblem. Next came the Magento website which needed to perform as great as the products themselves. Designed with amazing, full-width imagery that puts the product in the spotlight, giving prominent placement to the main USP’s. We provided a feature rich and secure base that is fully responsive, future-friendly and easy to use. As Brightpearl partners, Brave recognised early on that recommending this platform would transform the client’s back office. Brightpearl is an inventory management and accounting software for omnichannel retailers. Online sales, Point of Sale, purchasing, CRM, inventory and financials in are all in one platform and removed the dependency on legacy IT workflows and disparate solutions. Brightpearl reduces operating costs and streamlines business operations. If you’re after high growth, Brightpearl is a perfect solution to take any business to increased revenue by consolidating your operations and enable your expansion. Juniper now have Brightpearl as the backbone of their operation and have not looked back. A full view of business omnichannel operations, enabling you to make data driven decisions and increase revenue. Automate ongoing tasks by integrating with sales channels to better manage orders and gain team efficiency and growth. Software designed specifically for your industry, allowing you to achieve so much more. Brightpearl as a platform is focused on retail, not generic software and understands retail inside out – fit for the job, fit for your world, Brightpearl delivers. Brightpearl can be delivered three times faster than the nearest competitor. Brave can handle everything from importing data through to staff training. Brightpearl removes the need for manual tasks and repetitiveness, moving your staff away from admin tasks, back to growth activity.